Carole Biau, Puru Trivedi and Daniel Bremer participating in the U.S. — Mexico 360 delegation. 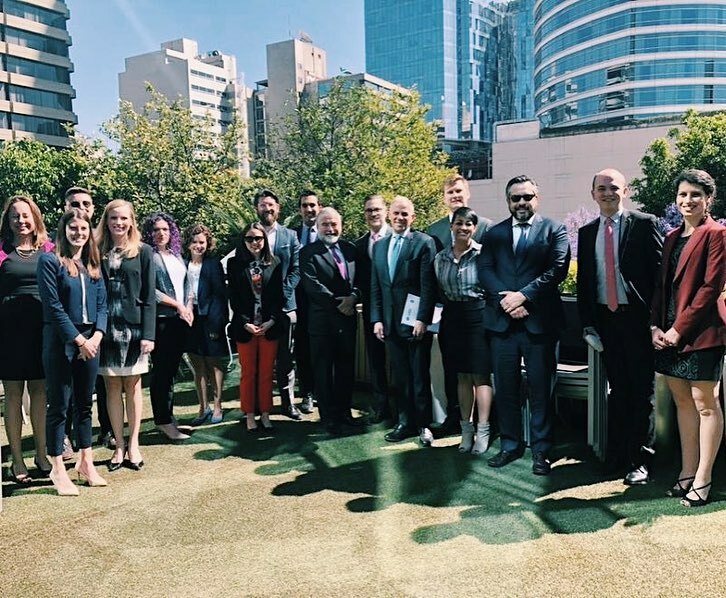 The U.S. Mexico Foundation partnered with Meridian International Center to bring fifteen policymakers from Washington, DC, to Mexico City for a five day study tour under this U.S. — Mexico 360 Public Diplomacy initiative. The trip gave a 360-degree view of U.S. — Mexico relations, current affairs and a glimpse into Mexican culture. Participants of the trip are experts in their fields, from a diverse array of think tanks, businesses, non-profits and academia. 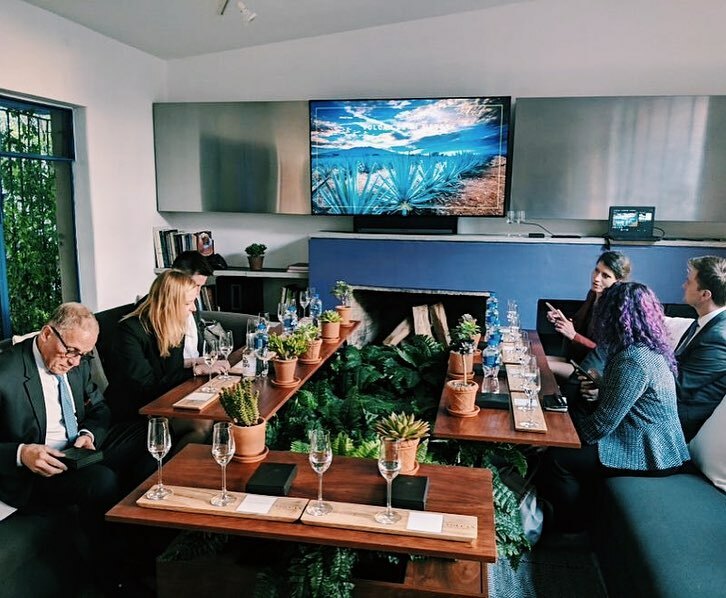 During the trip, the group participated in a wide variety of meetings, allowing them to take a deep dive into the bilateral relationship between the two countries. 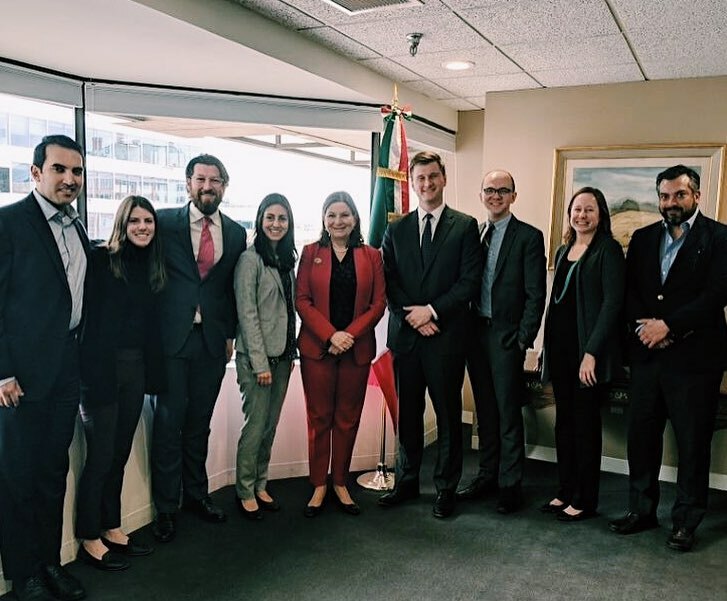 Participants met with representatives from the U.S. Embassy in Mexico, the Ministry of Foreign Affairs, the Mexican Business Council, leaders in the nonprofit world and private sector officials. During a tour of the Mexican Senate, the group was recognized from the floor by the President of the Senate, Martí Batres Guadarrama. 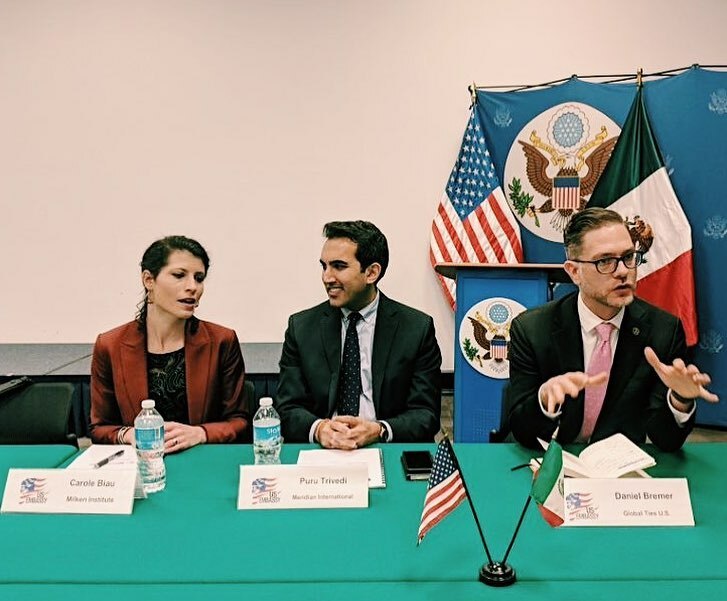 Discussions throughout the trip revolved around the future of trade between the U.S. and Mexico, the impact of NAFTA and the impending USMCA, how security concerns are shaping Mexican policy and the people-to-people connections between U.S. and Mexican citizens. This was the first of three trips to Mexico City that Meridian will organize with the U.S. Mexico Foundation this year.